Jerusalem (AFP) - Israeli Prime Minister Benjamin Netanyahu brokered an agreement Wednesday aimed at uniting ultra-right parties ahead of April elections, prompting accusations he was pandering to extremists. Netanyahu pushed for the deal to try to boost the number of seats held by right-wing parties after the April 9 elections, with an eye on his next coalition government should he win as expected. 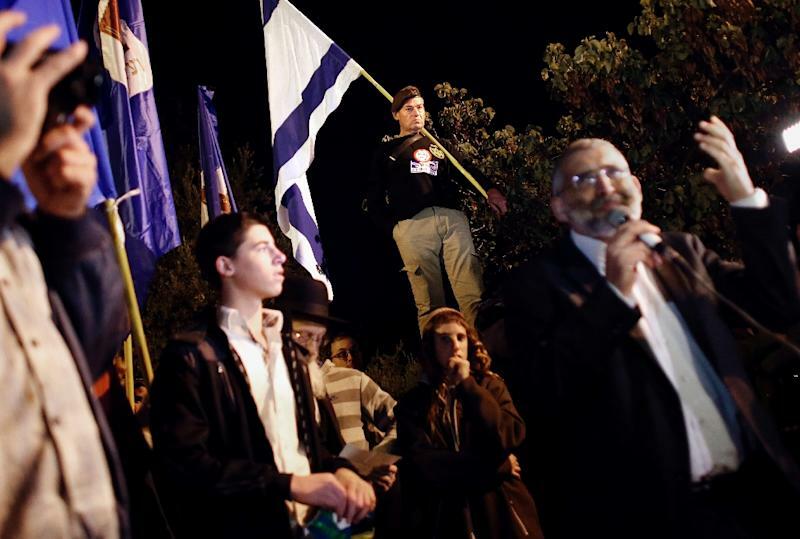 But the agreement, if approved, would raise the profile and potentially grant seats in parliament to the extreme-right Jewish Power party -- seen by many Israelis as racist. Netanyahu said, in a statement from his Likud party announcing the deal, that it aimed at "uniting the ranks in order to ensure that the votes of the right will not be lost." Political commentators harshly criticised the move, with one slamming it as "reprehensible." The agreement would see three parties on the far right run on a single electoral list instead of running separately: Jewish Home, National Union and Jewish Power. They would not run under the Likud banner. Jewish Home and National Union have long been aligned, but there had been resistance within their ranks to bringing Jewish Power onboard. Running alone, Jewish Power would be less likely to receive the 3.25 percent of the vote needed to make it into parliament. Not wanting those votes lost, Netanyahu met with Jewish Home's leader on Wednesday and promised it two future ministerial posts, under the deal announced by his party. The announcement does not mention Jewish Power by name, but said the deal was contingent on the approval of a merger. Jewish Home was due to decide on Wednesday night whether to accept the agreement. Jewish Power leaders are followers of late racist rabbi Meir Kahane. Kahane founded Kach, a far-right movement that wanted to chase Arabs from Israel and which was eventually banned. Kach was assassinated in New York in 1990. Prominent members of his coalition openly oppose a Palestinian state and advocate annexing much of the occupied West Bank. Times of Israel editor David Horovitz wrote that while Wednesday's agreement made political sense for Netanyahu, it was "despicable". "In terms of Israel's values, its character, its essence... the prime minister's tactic is reprehensible," he wrote.